SOMETIMES EVEN THE RICHEST PEOPLE IN THE WORLD THINK THEY ARE POOR AND THE POOREST BELIEVE THEY ARE RICH. It’s amazing how all walks of life whether they come from a rich family or poor family have different perspectives about money and how to live their lives without outside influence. Sadly money IS a huge influence in relationships for many people and with good reason, no one wants to struggle financially. Growing up in a poor family means that you struggle to provide the necessities of life and have little to no savings. At least that was my understanding growing up in the UK when some of my mates would tell me that they couldn’t afford to attend certain events that cost money because their parents couldn’t afford it. This wasn’t just once, it was almost always. We weren’t rich nor were we poor, JUST HAPPY. I received an email from a CBB reader who wasn’t sure whether she should continue to date her boyfriend because she comes from what he would consider a rich family. She’s finding it increasingly difficult to come up with conversations that they can both relate to since he comes from a poor family. He leads a frugal lifestyle which she is not used to and wonders if the two of them could possibly love each other and be on the same page financially. Perhaps it’s easier to just read her email. My boyfriend and I have dated for 2 months now and over the short course of our relationship I’ve found out that he comes from a poor family. We are both in our 20’s and have since moved to Toronto for work. Although money is a concern it doesn’t matter so much, but what does matter is that he respects it, earns it and understands how to manage it. He doesn’t have to be rich to date me just secure enough to understand that I’m not in this for the money. I’m working as an interior designer for big name clients in the Toronto area and he is still in college finishing up a trade. When he is done he will be an electrician which is perfectly fine as he’s incredibly talented. Growing up his mother was on social assistance most of his life and he doesn’t know who is father is. They have never lived in a house before since renting an apartment was all they could afford. I otherwise have lived in very large homes with staff that helps around the house inside and out because both my parents run a successful business and my dad is a doctor. In the summer I enjoy swimming in our pool and hanging out in the hot-tub with my friends when I go home to visit. 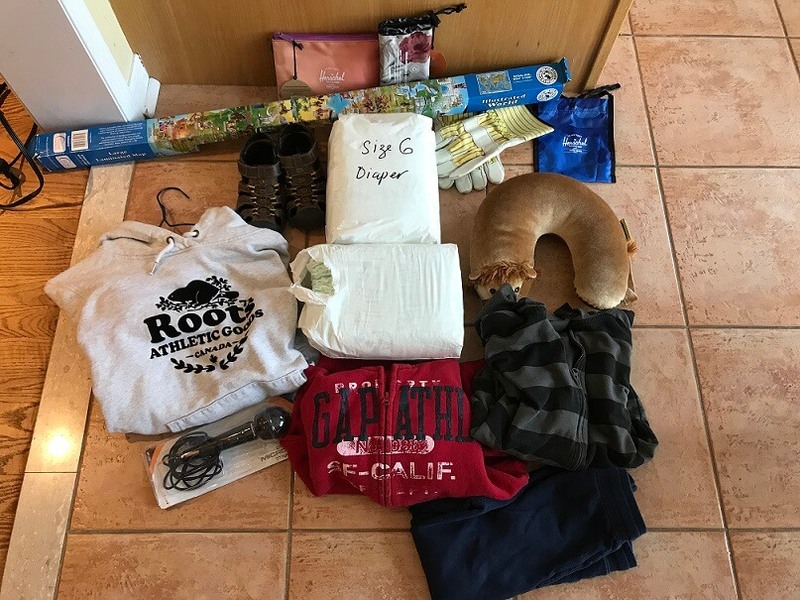 I’m used to strict parents who enforced rules for daily living however they rewarded me with trips, clothes and just about anything I’ve ever wanted. I was far from spoiled though, at least I thought so. My boyfriend on the other hand had no curfew, no chores besides closing his bedroom door and hasn’t seen much of anywhere in Canada. I don’t know what it is like to come from a poor family but the more he tells me the less interested I believe he will be in my life. You’re probably wondering what we have in common and what attracts me to him. Well, I can for certain say it’s not money, it’s his passion for helping people, nature and photography which is what brought us together in the first place. I have yet to tell him where my parents live nor have I brought him home to meet them. I feel like I am living a lie not telling him my parents are wealthy. I do understand that their wealth has nothing to do with my bank account but it’s more about the lifestyle shock that worries me. He talks so deeply about his upbringing and financial struggles that I tend to dance around mine. I was wondering if anyone else was in this position and was hoping for some help. I don’t know how to tell him about my upbringing and worried that it will scare him away. I hate to see money that isn’t mine get in the middle of our relationship but most of all having him feel as if he won’t be enough for me. Thanks for your submission. I’ll try to touch on it as much as I can and possibly another reader will have more to add in the comments below. My family was not rich by any stretch of the imagination although I had what many would consider a wealthy grandmother who lived in a mansion that she sold for peanuts and with current market value would sell for millions. We’re talking many, many years ago though. I was too young to understand what a rich family was let alone a poor family but I did notice the grandeur of her home and lifestyle when I would visit. It was a bit awkward at first because at home it would be fine with my parents to sit in front of the television to eat a bag of crisps but not at my grandmother’s house. Things were different and although I thought they were being mean to me they were enforcing the house rules. That was a bit much for me to understand back then but now that I’m older I think I get it now. There were only two types of families to me when I was growing up, the rich family and the poor family. This is how children or at least myself relate to the concept of rich and poor. There was no in-between until maturity sets in and we learn more about financial status. Coming from a single-income family where only my dad worked we were likely considered a poor family to someone I knew but that never mattered much to me. Apart from the family business which wasn’t bringing in riches we lived a very frugal lifestyle. My parents still do today but thankfully due to their frugal ways they will be fine financially during their retirement years. One of the most important things I learned growing up is that money doesn’t grow on trees which meant I was a money-saver from a young age. I understood what it meant to come from an ultra rich family as I learned more about the Royal Family and Buckingham Palace but have never known anyone to be of that stature. A rich family meant you weren’t struggling to pay the bills, huge savings accounts/investments and the ability to go on holidays when the urge came about. That wasn’t my family but I wished it were. Growing up in what some would consider a poor family based on what their status was in the community meant that everyone was either rich or poor to someone else. Even those from a rich family may envy an even wealthier family. The circle of rich and poor that keeps on going and going until YOU stop it. 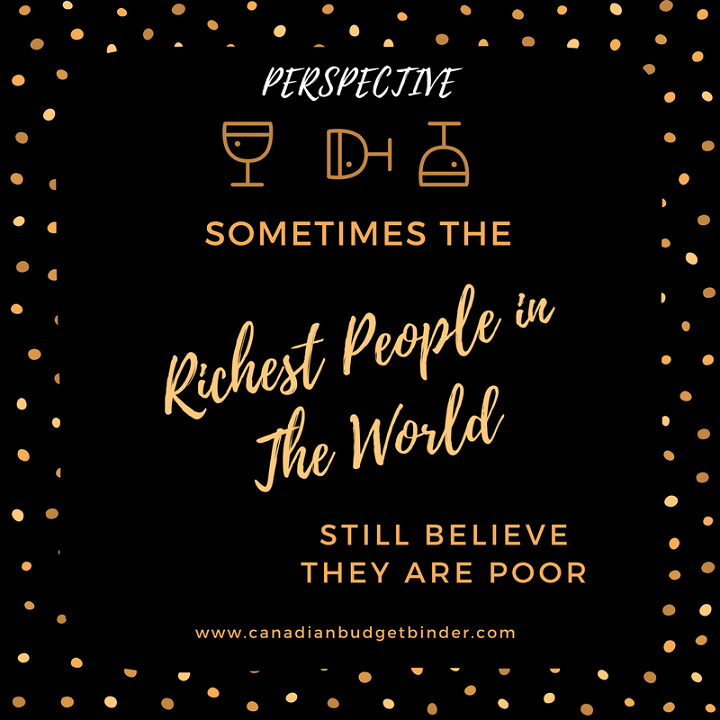 My point is everyone lives in a financial situation for a reason but for many of us we struggle to see the significance of what we have compared to someone less fortunate. In most cases those that are ultra rich were born into it, inherited it, have gotten a break in the industry, opened a successful business with a need or won the lottery. Being at the right place at the right time also leads to either luck or misfortune so it’s important to be aware of your surroundings. They often say that love is blind and in many ways it is especially if we get involved with someone without understanding more about that person. In the case above she is dating this young man and slowly learning about his upbringing which doesn’t seem to bother her but she believes may bother him. This might seem obvious to everyone else but the person concerned or who is falling in love but if you don’t tell him he will eventually find out your family is rich. It shouldn’t matter to him either way, in fact I believe that you both would have lots to chat about. There’s nothing wrong with learning about what it was like growing up in each others shoes. What a journey of discovery that would be. This is what a relationship is all about. If you’re worried that he won’t fit in or would call the relationship off just remember what will be, will be. You can’t make someone love you or jump head first into a life they are not used to. The same would hold true if you were the one with the problem that he was from a poor family and you’re not. Put yourself in his shoes and ask yourself how you would handle the situation if the tables turn. Ultimately you don’t have to say anything because you don’t live at home and it’s none of his business if your parents are rich or not. Giving him a heads up about your lifestyle growing up is perfectly fine that way he knows what to expect if you were to ever bring him to meet your parents. I think he should do the same for you which it sounds like he has done since you know about his upbringing. If you believe in each other than you can make it work but if you have any doubts it’s best to put them on the table at the beginning rather than deal with heartbreak down the road. The way each of you were raised doesn’t mean that you still can’t fall in love and lead happy lives. Discussion Question: What other advice would you offer to this young lady about her new relationship? Have you ever dated someone who came from a rich family or a poor family in comparison to your upbringing? You may have noticed I haven’t been present much the last little while and there are two good reasons for that. The first one is that I’m swamped with renovations in the basement as I mentioned the last week. The other major issue is dealing with the in-laws who need our help desperately because they have no one else to turn to financially. More on this to come. Although this has caused a huge stress for us both we can’t imagine just sitting back and doing nothing. Halloween was a bust as the little guy wanted nothing to do with it when it came time to go out. I think next year given the amount of kids that received tainted candy that we’ll just go to the mall. I’m guessing we will see more traffic at all the malls across Canada for Halloween due to the weather getting cold for the little one’s and candy control. This week we got our flu shots done and it went down without a tear which meant pizza for the family. Exciting week, I know but you can’t expect every week to be a party, right? Let me know if you have any topic ideas that you think I should investigate for the blog. 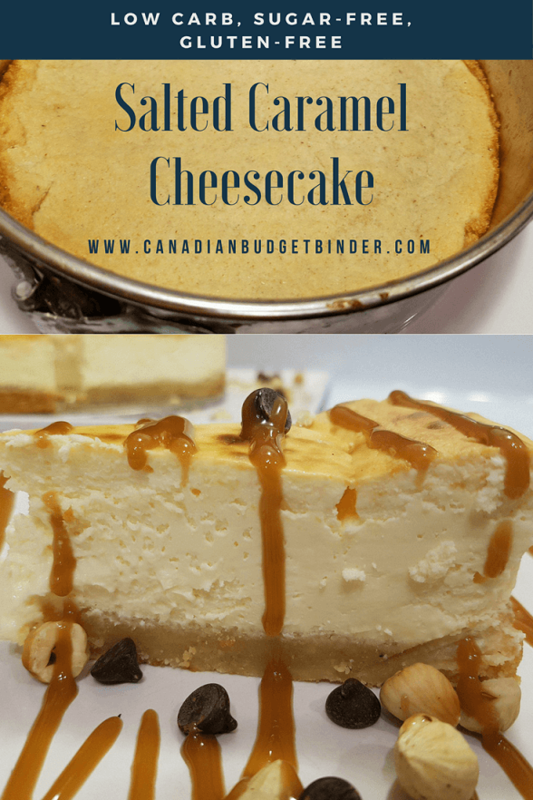 What an honor, to be featured on Canadian Budget Binder. October 2017 is off to a great start! 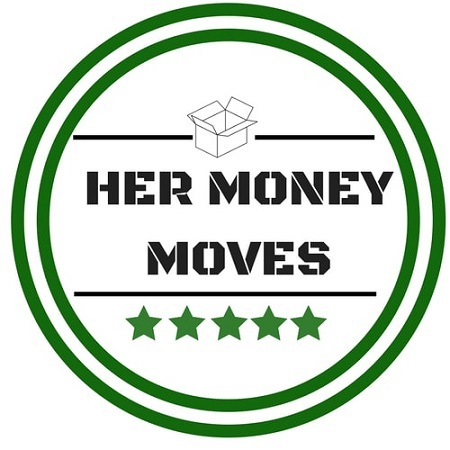 I’m Christine, Founder and Chief Money Nerd over at Her Money Moves, a blog that serves to inspire military families with personal finance and career knowledge needed to enhance their quality of life. I’m a wife to a United States Army Officer, mom to a 3 year-old son, and full time Budget Manager for a public University. In the last eight years, the Army has moved us to six locations we’re getting ready to find out about our next move this month. I’d also like to plug my Canadian street cred…I have a brother and sister-in-law who are both Canadian! I blog a lot about topics as they relate to military spouses and the military community. However, about 65% of the United States Military falls within the millennial age range. So, I try to focus a lot of my content on topics that both millennial men and women would find relevant, not just the military. I’m 33, so I’m at the top of the millennial range. Think of me as your (super cool) older sister who’s been there and done that when it comes to buying and selling houses, landlording, investing in the market, paying off student loans, saving for retirement, buying cars, switching jobs, asking for pay raises and even raising kids. 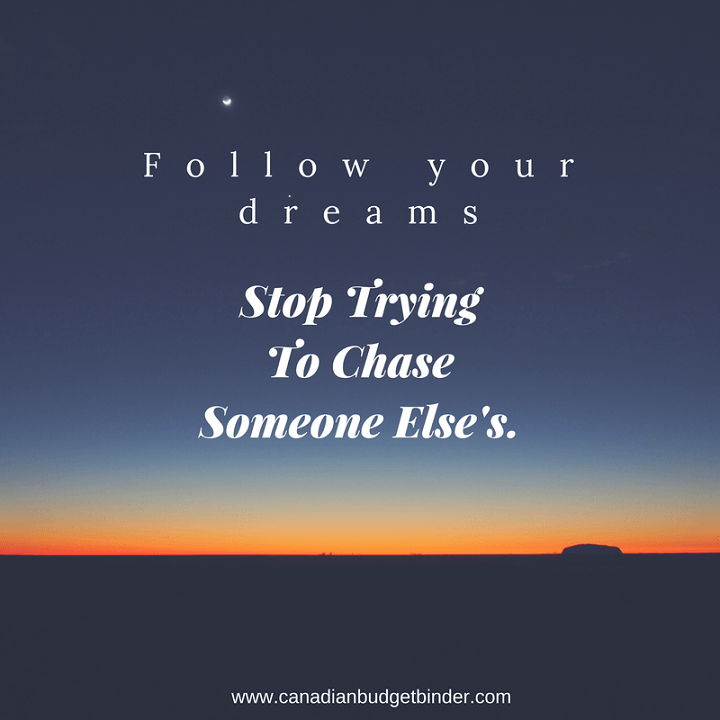 Although I have a degree in Finance and have worked in the industry for over 10 years, I want to make personal finance accessible and enjoyable for the average Joe or Jane. My philosophy is that personal finance is well, personal. You won’t find me scolding you for buying a new car or enjoying a nice bottle of Scotch – if it’s in your budget and you’re meeting your savings goals. I want to show you how you can do more with your money. I invite you to come and join the conversation and find out how to do more with your money and live the life you want! Over at A Journey We Love I learned about The Happiness Fund which is for you to spend in moderation on things that make you happy. 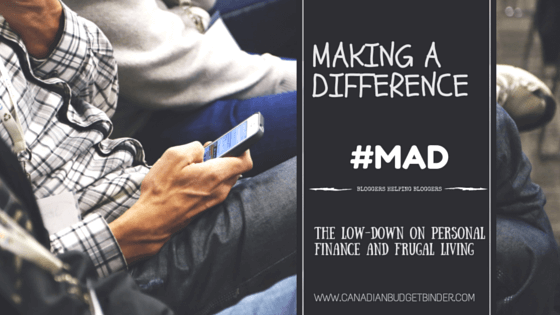 Yes, we can all be frugal, while still enjoying the comforts of life because of conscious spending! 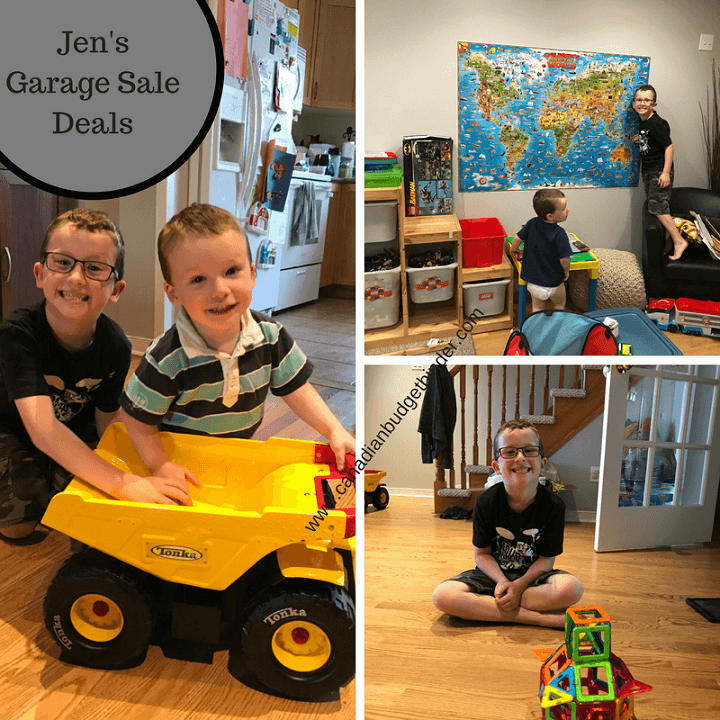 Those were some great deals Jen!! Thanks for sharing with all of us. Try not to put yourself in a position where you are putting your life on hold for someone else. Do what you want to do today, love can wait if it’s true love. Follow your dreams, not theirs. 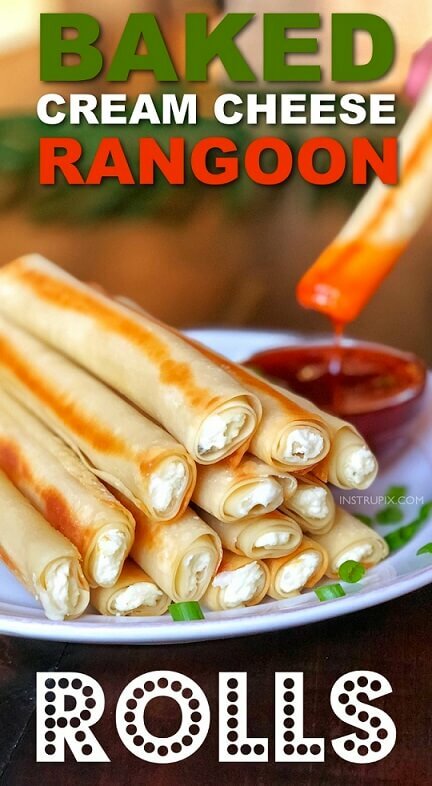 This week I stumbled upon the website Instrupix and a recipe called Baked Cream Cheese Rangoon Rolls. The name sounded cool and I like cream cheese so I thought I’d check it out. I was amazed to see that it was egg roll wrappers filled with cream cheese and herbs then baked. You can dip them after in marinara, jams, chocolate spread and so on. (leave out the herbs though). Now my mouth is watering. I’m making these for sure!! Who’s with me? I keep seeing posts on Facebook groups about Bath Bombs and how awesome of a gift they would make for the holidays or even birthday’s and so on. I’ve seen similar items at LUSH although you will pay quite a bit of money. If you know a small shop that makes them in town you likely could get a better deal and support small businesses at the same time. If you’re the DIY type like we are you might even try making them yourself. I always wondered how they were made and today for those of you curious I’ve found this tutorial from the Do It Yourself Better Club on How to make Milky Way Galaxy Bath Bombs. MPAC came to my house: I hope you offered them tea and biscuits. Does my job pay me on jury duty: Ha, if only. Some do though. Can I take a pregnancy test at Dollarama?– You might want to wait until you get home.